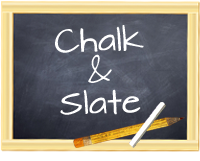 Chalk and Slate: Free is Good! I haven’t been the best blogger recently but I can say that I’ve been a pretty good teacher. I feel like a juggler all the time and I can’t keep all the balls in the air at once. So while I’ve been working hard at school, I haven’t been working very hard at blogging. I am setting a goal for myself to do better at both (Doesn’t help that I have two other blogs and contribute to a third). It is Sunday night at 9:40 and I just finished making a quick read to self-summary worksheet. I like to have my kids use different methods for talking about the books that they read during our center time. Sometimes it’s a verbal activity and sometimes it’s written. This week it’s written. 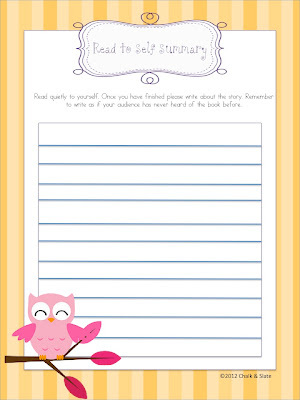 I decided just to put this on google docs for now because I can’t be bothered to put it in my TPT store tonight. If you think you can use it…great! Have a great week ya'll and happy teaching and learning! 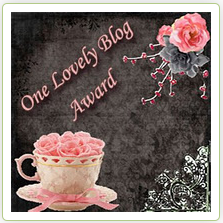 You have a lot going with all the different blogs! Thanks for sharing the read to self summary!